The New York work of an artist who created a children's classic. 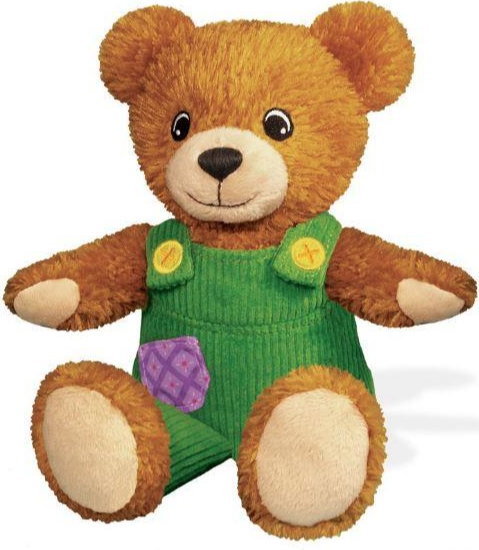 The adventures of Corduroy, the stuffed bear in green overalls, have been delighting children and adults for half a century—ever since Don Freeman’s children’s classic was published in 1968. But few know about Freeman’s long career as an artist who documented New York. A City for Corduroy: Don Freeman’s New York presents the gamut of Freeman’s New York work, from his lively and humane depictions of ordinary New Yorkers and the city in the 1930s, to his illustrated scenes of the Broadway backstage, to his children’s books inspired by the city, including not just the Corduroy books but also Pet of the Met and Hattie the Backstage Bat. The exhibition features drawings, paintings, publications, and prints, as well as the artist’s original studies and sketches of Corduroy and other characters. A Pocket for Corduroy cover art. Don Freeman papers, Kerlan Collection, Children’s Literature Research Collections, University of Minnesota. Bring the beloved bear home with you! A City for Corduroy: Don Freeman’s New York is supported in part by an award from the National Endowment for the Arts. Additional support provided by The Angelo Family Charitable Foundation; Suellyn and Ted Scull; Jill and John Chalsty; and YOTTOY Productions, Inc.
Made possible in part by The Friends of Corduroy, a collective of generous individuals celebrating Don Freeman’s legacy. Special thanks to Penguin Young Readers.